Dr Sara Basart (female) received a degree in Physics from the University of Barcelona (UB). She studied a Masters in Meteorology and Climatology a the University of Barcelona (UB). Dr Basart obtained her PhD degree in Engineering Environmental (Degree of European Doctor) at Technical University of Catalonia (UPC) in January 2012 while doing her research at different research centres (Centro de Investigación Atmosférica de Izaña, Spain, and Laboratoire des Sciences du Climat et de l'Environnement, France). Her main research background covers mineral dust modelling, air quality and aerosols. 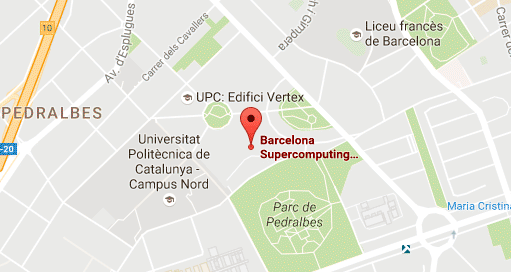 At present, Dr Basart is a researcher in the Barcelona Supercomputing Center (BSC). She is the scientist in charge of the WMO Sand and Dust Storm Warning Advisory and Assessment System (SDS-WAS) Regional Center for Northern Africa, Middle East and Europe, and the WMO Regional Specialized Meteorological Center with activity specialization on Atmospheric Sand and Dust Forecast, the Barcelona Dust Forecast Center. She is currently leading EU projects such as the COST Action, InDust, and the ERA4CS project, DustClim. She also participates in international projects as the International Cooperative on Aerosol Prediction (ICAP) initiative, H2020 (ACTRIS, ACTRIS-2 and SOLWATT) and Copernicus (CAMS-84). She has authored or co-authored more than 30 peer-reviewed publications in international journals and book chapters and participates in more than 100 national and international conferences and workshops. Furthermore, she has participated in capacity building and transfer of knowledge activities associated with private contracts, European Commission and United Nations programmes.